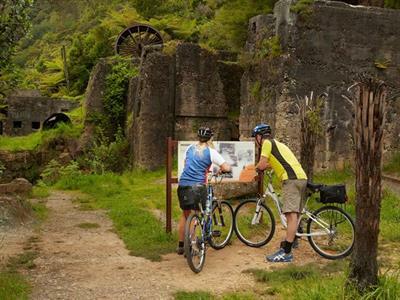 The Hauraki Rail Trail showcases some of the best scenery New Zealand has to offer and is rich in pioneering history. Highlights include the stunning Karangahake Gorge, an historic gold mining town and luxurious mineral spas. There are three distinct sections to the Hauraki Rail Trail. The trail from Thames to Paeroa and Paeroa to Te Aroha follows an historic railway formation that runs across lush green farmland. These sections are flat and very easy riding – and the raised platform provided by the old railway line offers riders great views across the Hauraki Plains and to the forested Kaimai Ranges. Pedlars Motel is situated right on the edge of the Hauraki Rail Trail in the heart of Paeroa, just walk out the entrance of the motel, and you are on the trail. 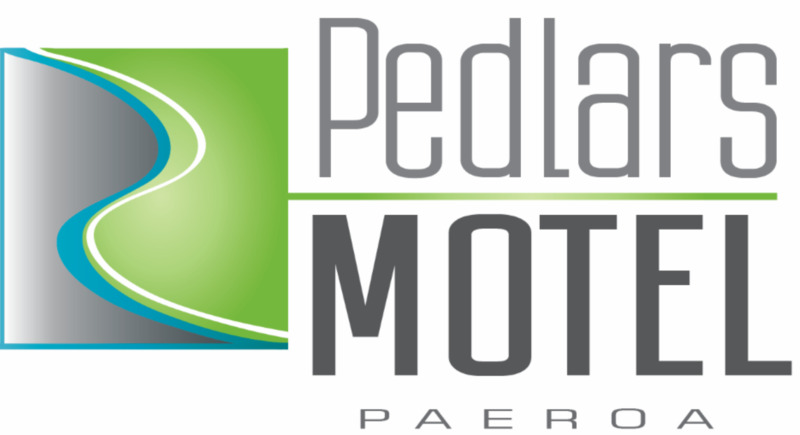 As Paeroa is centrally located for all three of the trails, Pedlars Motel is the ideal place to stay as you venture forth on the Hauraki Rail Trail. Pedlars Motel has a secure lock up bike storage facility on site, to safely stow your bikes away at night, or when not in use. The third section of trail runs from Paeroa, through the Karangahake Gorge, to Waikino Station. The trail through the gorge follows the Ohinemuri River and includes a number of interesting bridges and a long railway tunnel. On arrival at the café at Waikino Station, riders can either take the vintage train on to Waihi or ride all the way to Waihi. The Hauraki Rail Trail was created through a partnership between the Hauraki District Council, Matamata-Piako District Council, Thames-Coromandel District Council, Department of Conservation and Nga Haerenga – The New Zealand Cycle Trail project. This leg of the Hauraki Rail Trail is undoubtedly one of the most picturesque cycle rides in New Zealand, with the spectacular Karangahake Gorge, voted one of the “fourteen wonders of New Zealand” and one of “101 must-do’s for Kiwis”. With panoramic views of the towering bush-clad Coromandel Ranges, this trail meanders alongside the Waihou River through lush, green farm pastures with peacefully grazing cattle. Leaving Paeroa to meander through lush farmland, Mount Te Aroha comes into sight, where mineral hot pools and therapeutic waters to relax and soak in awaits you.